As Eagles fans throughout the region witnessed during Thursday's Super Bowl parade, SEPTA had its hands full for a massive influx of riders throughout the morning, afternoon and evening hours. On any given day, SEPTA's Broad Street and Market-Frankford trains make 624 and 380 trips, respectively, according to SEPTA's 2017 route statistics report. More than a hundred regular and specialty bus routes in Philly average anywhere from 50 to 250 or more daily trips. But a new analysis from AllTransit, the nation's largest source of public transit data, highlights those Philadelphia neighborhoods not adequately integrated into the city's transportation network. "Transit gaps exist wherever there is a mismatch between the strength of a transit market and the quality of transit service available to the households of that community," AllTransit says in its interactive Gap Finder tool. The analysis of Philadelphia shows that about 16 percent of the city's households are currently underserved by SEPTA's various modes of transit. As the map below illustrates, the vast majority of underserved neighborhoods — regions marked in red — are located in South Philadelphia. That includes Passyunk Square, Point Breeze, Grays Ferry, Queen Village, Pennsport and Wharton. Areas marked in red indicate underserved neighborhoods in Philadelphia. Parts of these neighborhoods aren't particularly far from the Broad Street Line, but AllTransit factors in wait times for service. In the city's underserved areas, according to the analysis, the average wait time for public transit is 23 minutes. 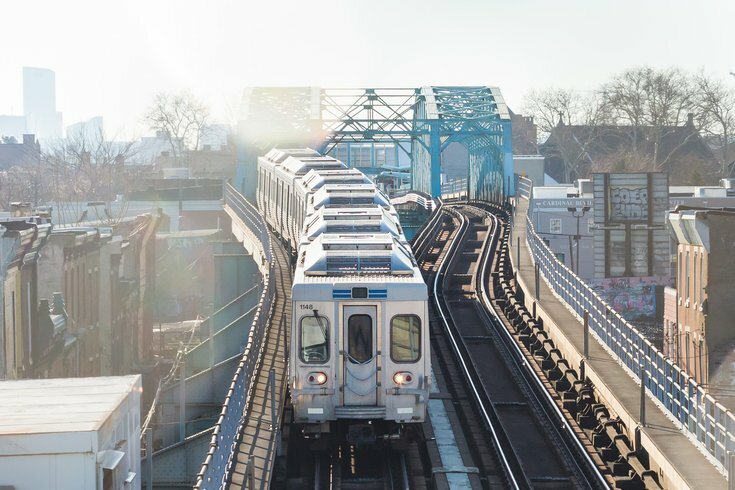 "Reducing the average wait time for transit by seven minutes for the underserved neighborhoods in Philadelphia would provide enough service improvement to meet minimum standards expected of the transit market in those areas," AllTransit wrote. Up north, underserved neighborhoods unsurprisingly include Brewerytown, Fairmount Sharswood and Strawberry Mansion. Hunting Park, pockets of Kensington and Port Richmond were also marked in red. Across the Schuylkill River, Gap Finder identifies Mantua and East Parkside as underserved communities. Expanding SEPTA service in these neighborhoods will be, at best, a long-term and costly project. In the meantime, an alternative method to improve the density of transit access in Philadelphia would be to develop more private and affordable housing along the city's transportation routes. City Council is currently exploring a bill that would amend the zoning code for Philadelphia's Transit-Oriented Development Overlay District to provide density bonuses to developers who build and rehabilitate properties along the Market-Frankford Line. Five locations are noted in the legislation: 46th Street Station, Erie-Torresdale Station, Allegheny Station, York-Dauphin Station and Berks Station. How does Philly stack up against other major U.S. cities? For the most part, very well. Here's a look at the percentage of underserved households in urban areas around the country. You can explore more transit data with the Gap Finder tool here.